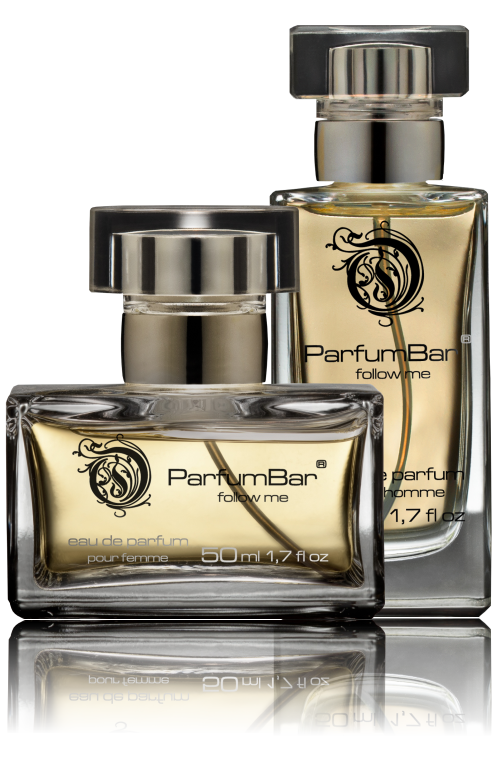 Every bottle contains perfumed water of high concentration of essential oils. These perfume is quality in every detail: They come in high quality glass vial with atomizers allowing to spray precicely the part of body you choose, as well as in aesthetic packagings with space for your wishes, in case you wanted to offer it to somebody as a gift. To put it in a nutshell - they are elegance in its pure form! 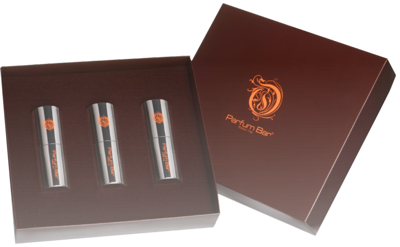 35 ml and 20 ml bottles come with a practical, aluminium case, which can be opened by turning the case. The tube protects the perfume bottle against damage and guarantees the fragrance stability. The case, due to its size and an unusually smooth form, comes in handy in a purse or a glove compartment. 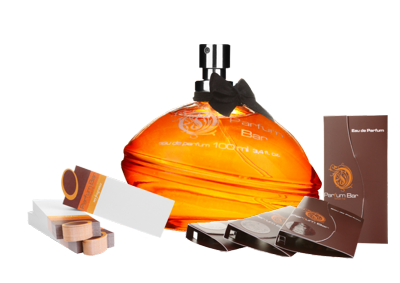 Professional sales of perfumes entails proper fragrance display. This is why all our aromas are available also as elegant testers of economical size - 100 ml. A chosen fragrance is presented on wide perfume strips (blotters) that come in the form of bookmarks. 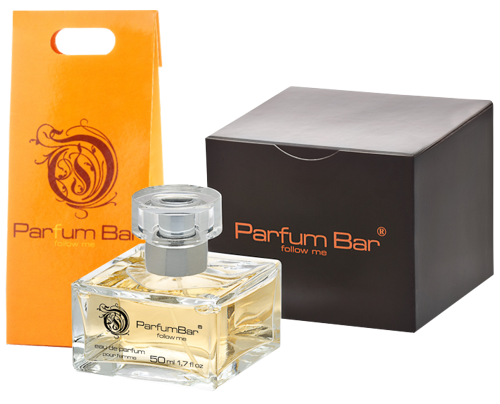 To advertise our quality perfumes, you can also use the 2ml samples - very handy atomizers, wrapped in envelopes. Clients form their first impression based on the external packaging - simple elegance of our box will underline the character of what is inside. 50ml vial is an ideal gift idea. Additionally, upon request, we can attach personalised wishes and describtions of the personalities of gifts receivers. A specially designed bag will guarantee that the product reaches its destination intact. Do you enjoy using different fragrances, depending on an occasion? Do you want to have your own perfume locked in a handy bottle, always within your reach? Or maybe, you are looking for a memorable gift for your loved one? In all three cases, you should reach for a beautiful, silver one the outside, velvet on the inside case that contains three 20 ml or 35 ml perfumes.